This brooch gorgeous brooch is made with a vintage brass four picture locket. 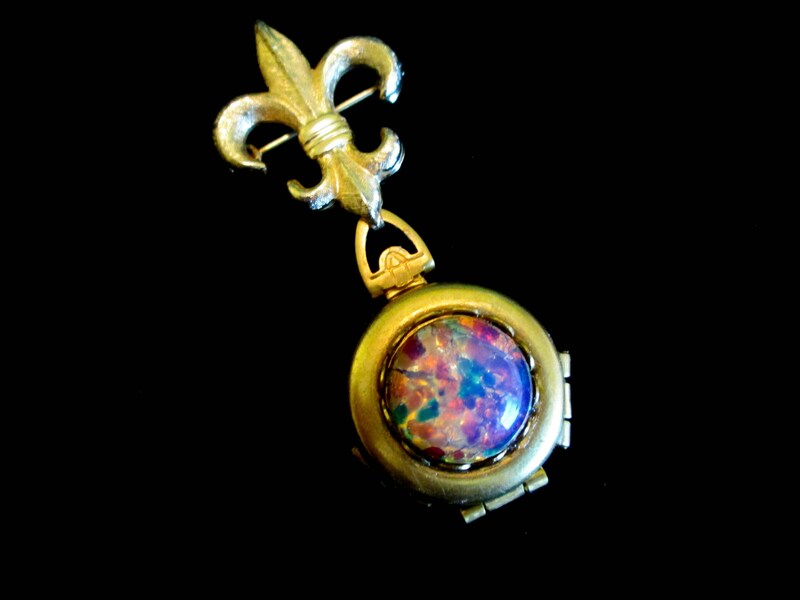 To the top of the locket I added a glass harlequin opal in a lacey brass setting. The opal cabochon has beautiful hues of pink, yellow and green. This locket opens to hold four photos either with double-sided tape (my preference) or glue. I hung this locket from a vintage brushed gold-plated fleur-de-lis brooch. This pin hangs approximately 2.25 inches from top to bottom. The photo portion of the locket is approximately 3/4inch in diameter.